Alexa, Diana, Joeli and Gabriel present to secure funds to expand Safe Passage in Schools. 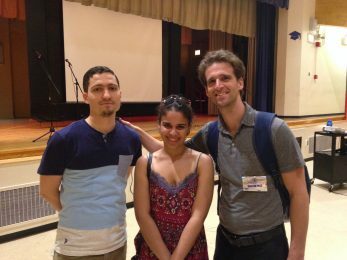 These students presented the work of Safe Passage at their school to potential funders in hopes of raising financial support for Safe Passage to facilitate their work throughout New York City on behalf of undocumented students. 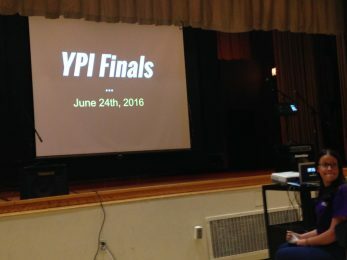 The presentation featured interviews from former Safe Passage clients New York City teachers. Legal Director, Guillermo Stampur, attended the presentation. 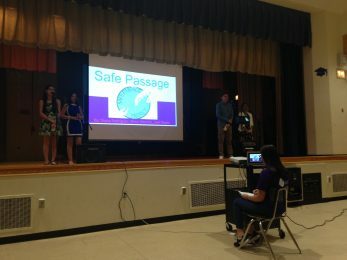 Safe Passage is very proud of the students.